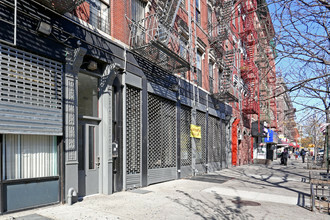 Home » Prime Sugar Hill Retail Space – Features 14FT Ceilings Exposed Brick – 800 SQFT + Basement. Prime Sugar Hill Retail Space – Features 14FT Ceilings Exposed Brick – 800 SQFT + Basement. 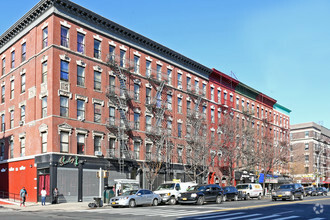 1784 and 1786 Amsterdam Ave) can be combined for 1600 SFT. Features 14FT Ceilings, Exposed Brick and Brand New Store front. 1600 SQFT plus basement for storage. Can be sundivided 812 SQFT and 795 SQFT. $5,000 per month for each space $10,000 combined. In its present raw state this space can be delivered fully white boxed, or with exposed brick walls. customized to your specific needs. Situated on a very busy and bustling main avenue with high volume vehicular and pedestrian foot traffic. Most uses are considered but innovation is the key. Restuarant with electric cooking is acceptable.